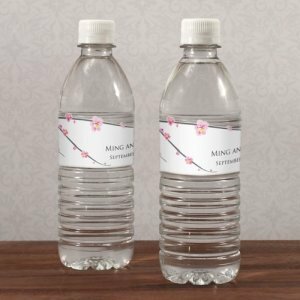 Perfect for outdoor weddings, garden parties, or for bottles inside your hotel welcome baskets, these wedding labels for water bottles feature our romantic cherry blossom branch design along with your names and wedding date. 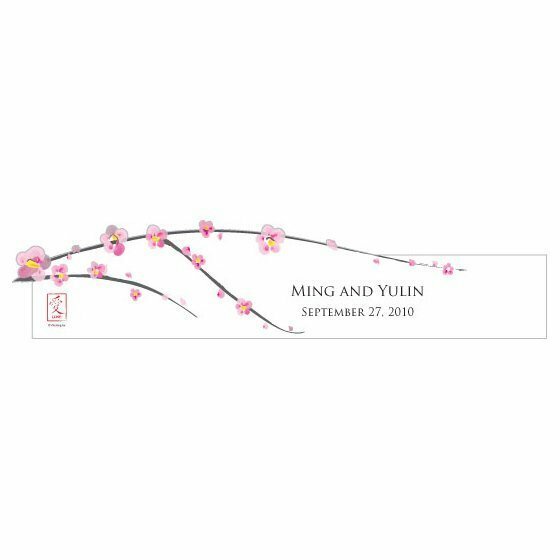 Part of our cherry blossom stationery and accessory collection, these labels match perfectly with all of our other themed items. 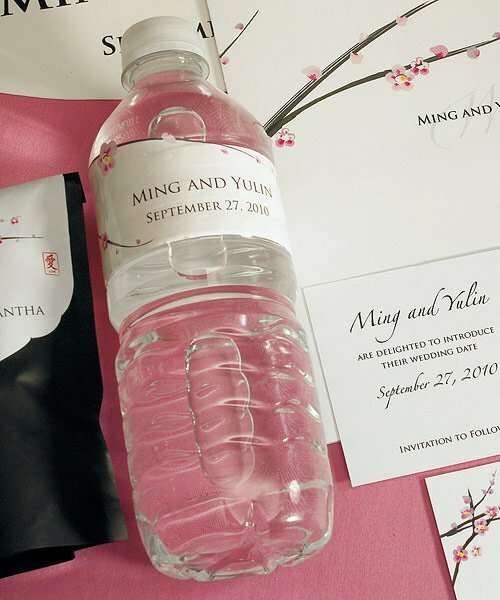 Labels sold in sets of 12 with a 2 set minimum order.Note - Water bottles are not included. The self-adhesive matte label paper may withstand a limited amount of time in ice but not water.Product dimensions: 8.5 x 1.375".Sample Orders - If you would like to order a sample of this stationery collection, search for item X1024-19. You will receive a sample invitation along with a list of items and colors available with this design.